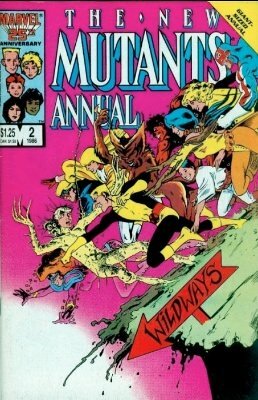 Not quite X-Men but not your average adolescents, the New Mutants are a group of teenagers with amazing mutant abilities. Still coming to terms with their powers, and learning how to hone them for the betterment of the world, the team lives and attends school at the Xavier Institute. 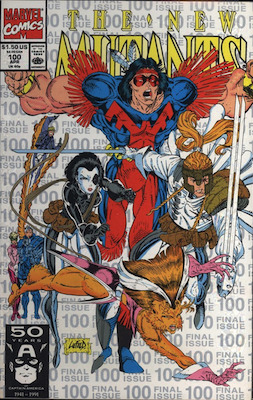 So far, there have been three volumes, with several issues from Volume 1 becoming among the most valuable comics of the modern age. We break out the key issues below. Click any image for values, or have yours appraised by Sell My Comic Books. It's a FREE service. What About the Movie Rumors? It's almost 100 percent certain that a NM movie will be released in 2018. You can see the IMDB page here. The movie trailer is below. 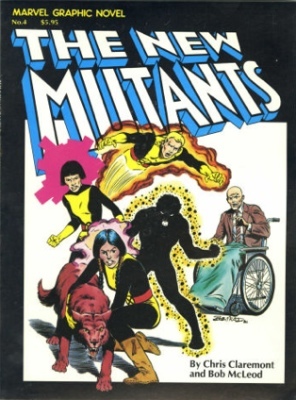 The new team was conceived as a spin-off of Uncanny X-Men, written by Chris Claremont. While not thrilled about making an X-Men spin-off, Chris conceded and their first appearance can be found in Marvel Graphic Novel #4. MGN #4 features the first appearances of Psyche, Karma, Wolfsbane, Sunspot, and Cannonball. This team is considered the original line-up, and they continue to hold special meaning for those who grew up reading the series. From a collector’s perspective, Marvel Graphic Novel #4 is moderately valuable and one of the best issues to invest in. It is pretty scarce in top condition due to its black cover, which shows shelf wear easily. Who would have guessed that humble Professor Xavier had a secret love child? Going by the name Legion (real name David Haller), this mutant has the ability to absorb personalities and powers of anyone near him. However, this results in Legion having multiple personalities, making him mentally unstable. Legion has a cameo in NM #25 and a full appearance in #26. 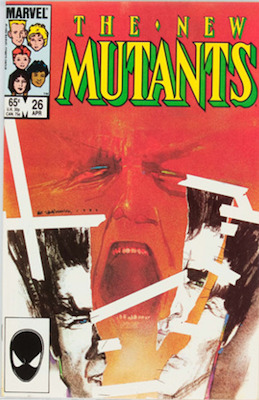 The Mutants and Professor Xavier attempt to help Legion, but his powers are just too much to handle. There’s a special caveat that should be noted about NM Annual #2, the first appearance of Psylocke. Psylocke is the brainwashed and mutated version of Elizabeth “Betsy” Braddock, who made her first appearance in Captain Britain #8 (1976). 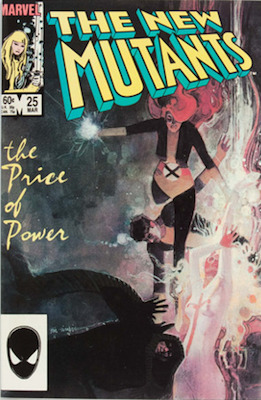 Because she had been around for so long in Marvel’s UK imprint, New Mutants Annual #2 is often called the first US appearance of Psylocke. New Mutants Annual #2 isn’t as valuable as you might think, especially since Psylocke has become one of X-Men’s most popular characters. 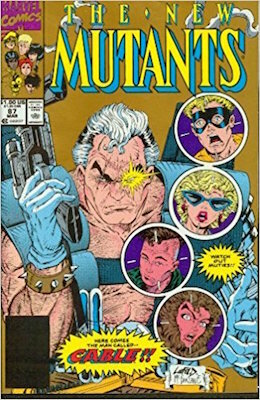 The Mutants are battling the shadowy Mutant Liberation Front, led by the equally shadowy Stryfe. To help out, Cable, a mutant from the future, has joined the team. 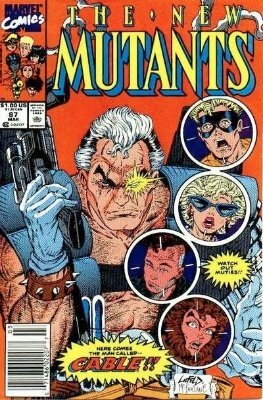 Making a cameo appearance in NM #86, Cable’s first full appearance is in New Mutants #87. Cable has since become one of the most popular Marvel characters of all time. 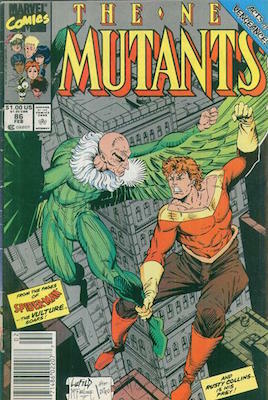 NM #86 also mark’s Rob Liefeld’s first artwork for the title. 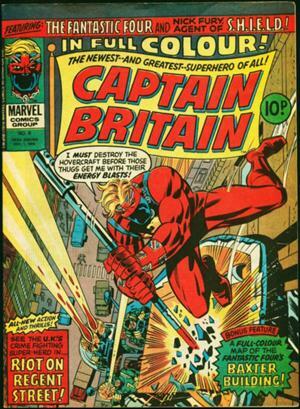 He would later go on to write the series, as well as the spin-off series, X-Force. NM #86 is slightly more valuable than average issues in the run, but NM #87 can be worth over $500 in Near Mint (CGC 9.8) condition. Be aware: two printings of #87 exist. The first print is identified by the red background, while the second printing has a gold background, and is almost worthless. Back in 1991, no one knew that Deadpool would become Marvel’s most popular Modern Age character. If they had, everyone would have bought multiple copies of NM #98! 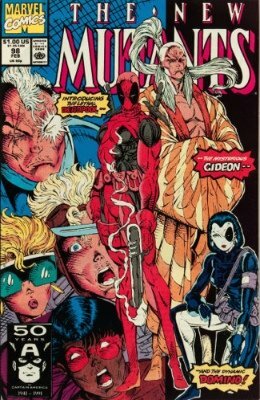 In this comic book debut, Deadpool (Wade Wilson) is hired by Genesis (Cable’s son) to kill Cable. 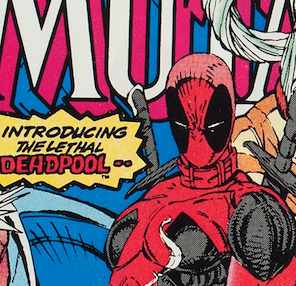 The first appearance of Deadpool in NM 98 became an overnight success. Almost immediately, fans wanted more of this mysterious mercenary, and NM #98 has now become one of the most valuable Modern Age comics. 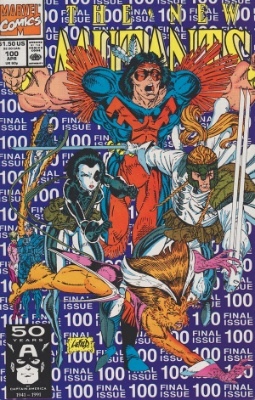 The final issue of the series ironically came just after it had spawned the most popular character. 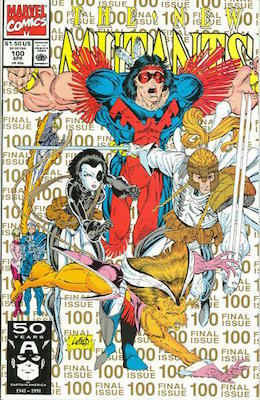 The Mutants were relaunched as X-Force; the first appearance of the new team was in issue #100, which was reprinted twice. Second printings have gold lettering on a white cover, while third printings have silver lettering on a white cover. While they are considered scarcer than the first printing, neither is valuable. See the values of the most famous Marvel superheroes, including Punisher, Daredevil and the Avengers. Find out the values of all the issues after #129, including the first appearance of Venom in #300. The sexiest anti-heroine ever, Selina Kyle, aka Catwoman. Find out the value of her books here.